I am filled with gratitude this morning as I wait for my airport shuttle in the beautiful lobby of the historic Capital Hotel in Little Rock, Arkansas. 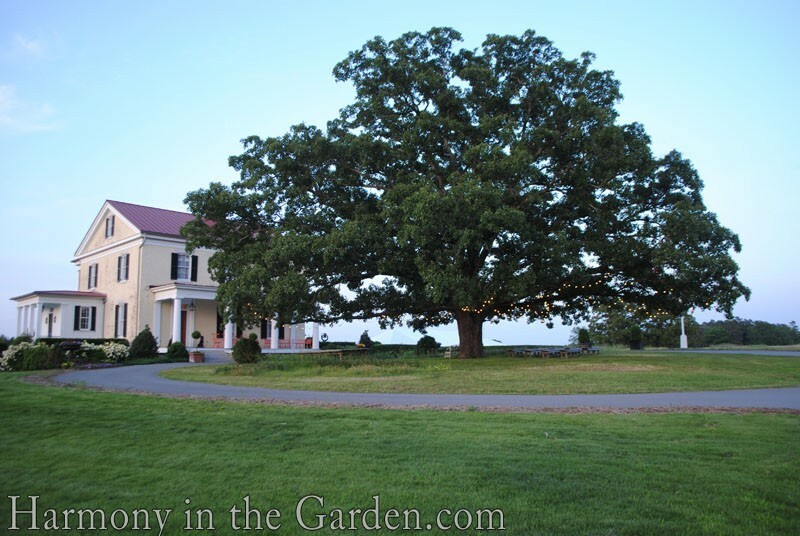 I’ve just spent the past few days at Moss Mountain, the beautiful home and farm of P. Allen Smith. 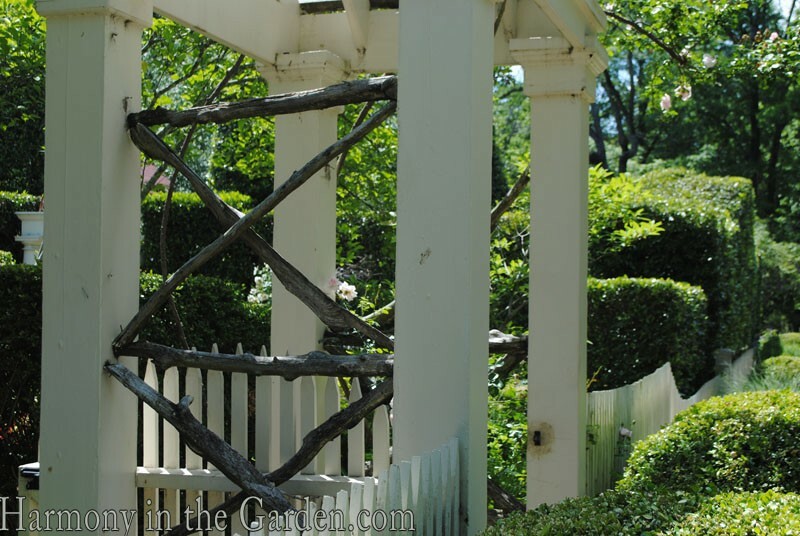 Twenty three bloggers from around the country were invited to participate in this 3-day event, called Garden-to-Blog, with the purpose of meeting industry leaders, discussing new gardening trends, becoming inspired with new ideas and to take a step back from what we do day-in and day-out. 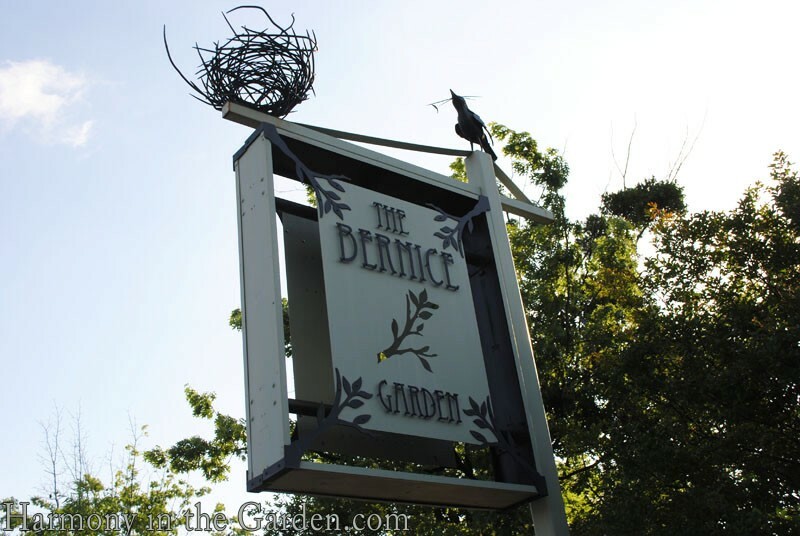 The day began in The Bernice Garden with a delightfully southern breakfast, catered by Root Café and the solar-powered food truck, Loblolly Creamery, where I tasted my very first biscuits and gravy! 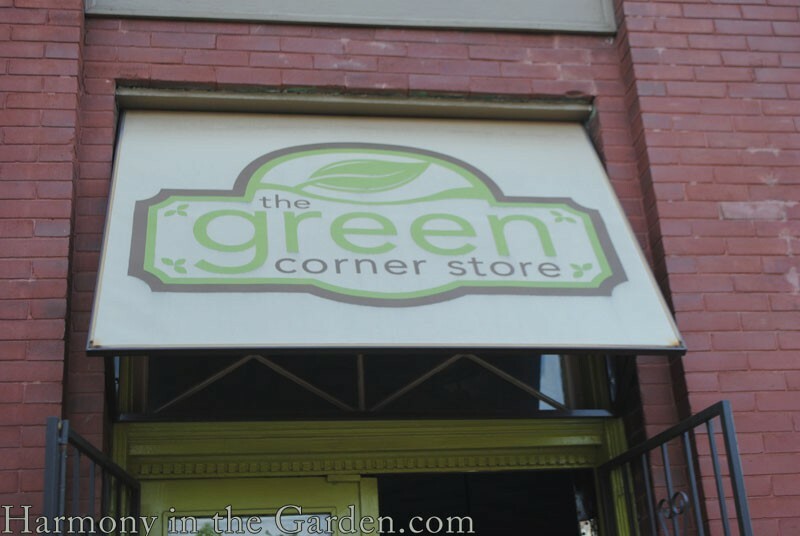 The next stop was just down the street at The Green Corner Store, officially the first store dedicated to sustainable and local products in the entire state! It also happens to house one of the only soda fountains from the turn of the century lovingly restored to its former glory and used daily. Random fun fact: do you know why soda fountains were always located in the same building as the pharmacy? It’s because the medicine was so horrific tasting, they needed to provide a tasty way to help it go down! (sort of the ‘ol salty pretzels as a bar snack philosophy). 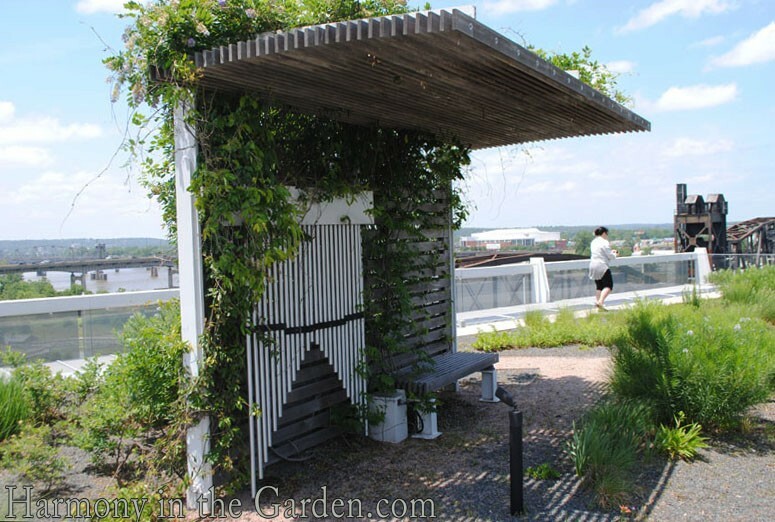 Aren’t these seating areas on either side of the building fun? 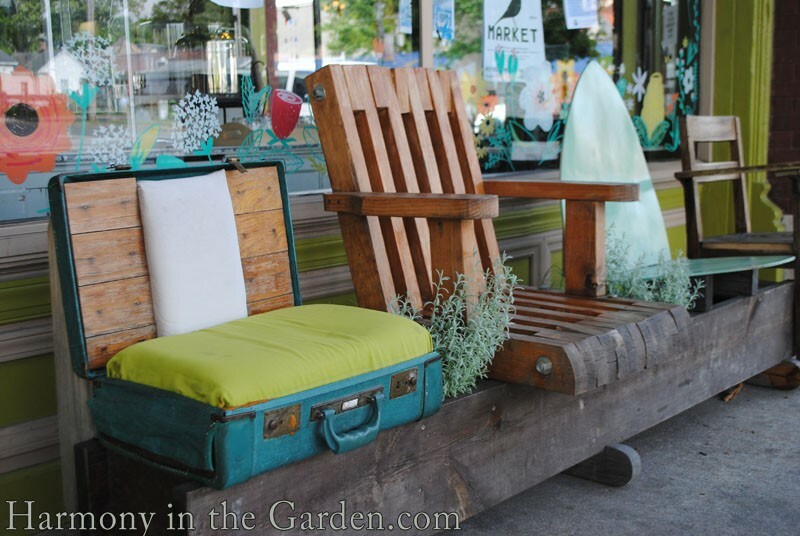 They’re made of repurposed suitcases, cabinets, surfboards and tree stumps! After hopping back on the bus we were taken to the Clinton Presidential Library (the first federal building to receive a platinum LEED rating!) 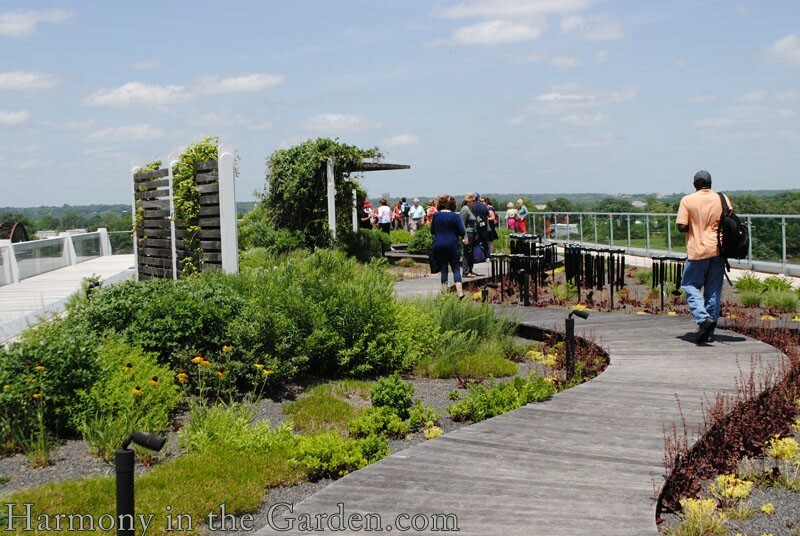 where we were given a tour of Clinton’s private rooftop garden. It was pretty cool to be escorted through his working office (sorry, no photos allowed) leading out to the garden. 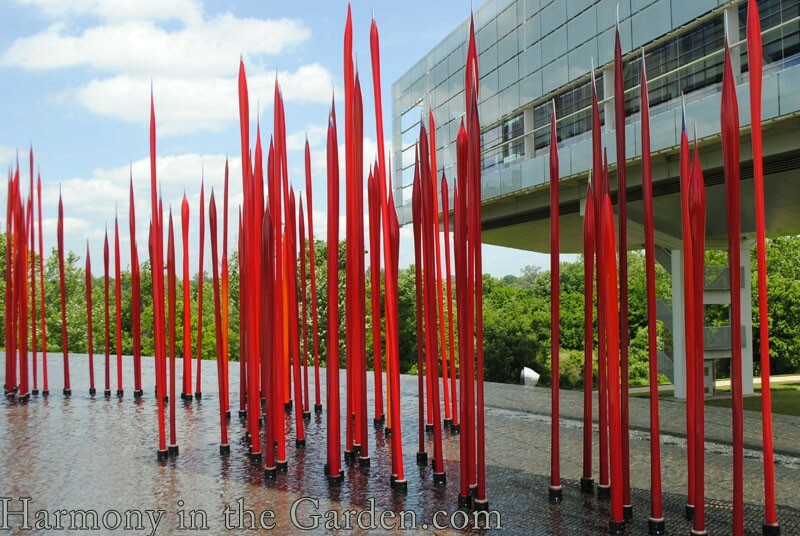 I love Chihuly’s ‘Red Reeds’ glass installation at the front of the building. 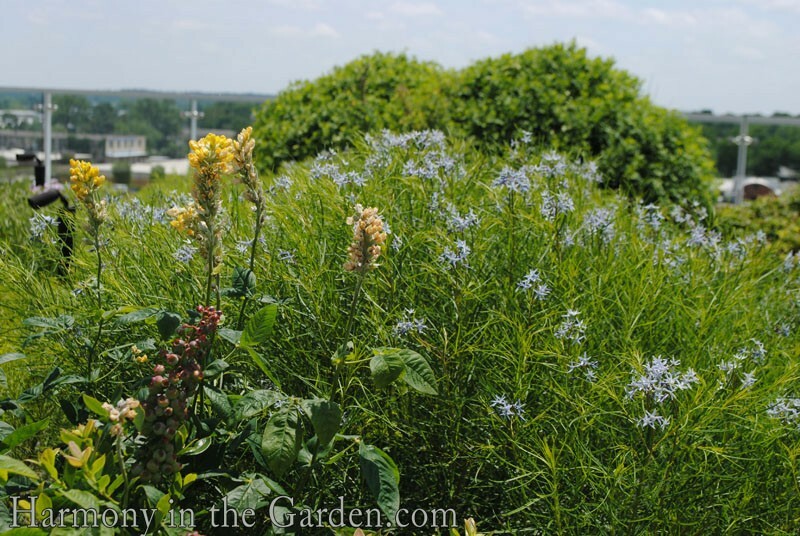 The garden (over 14,000 square feet) consists of over 80 species of plants, the majority of which are native. 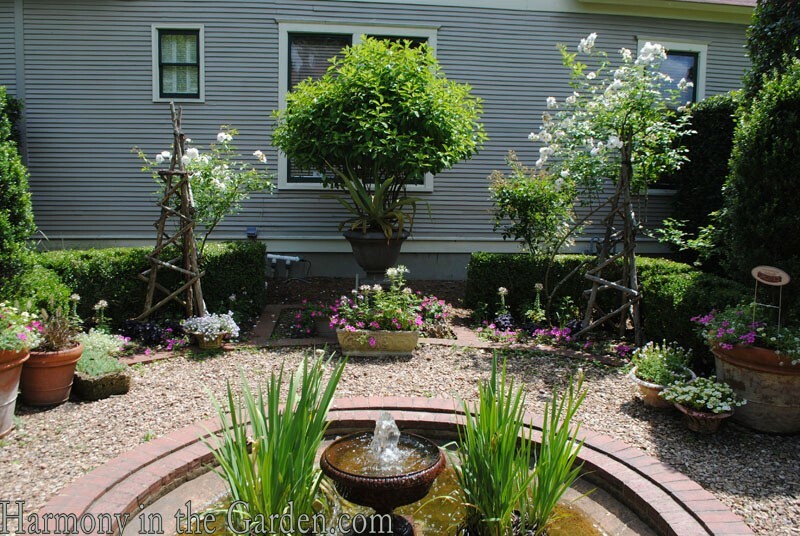 On one side of the garden is his putting green, surrounded by native plants and yellow roses (his mother’s favorite flower) and on the other side is a garden meant for meandering. 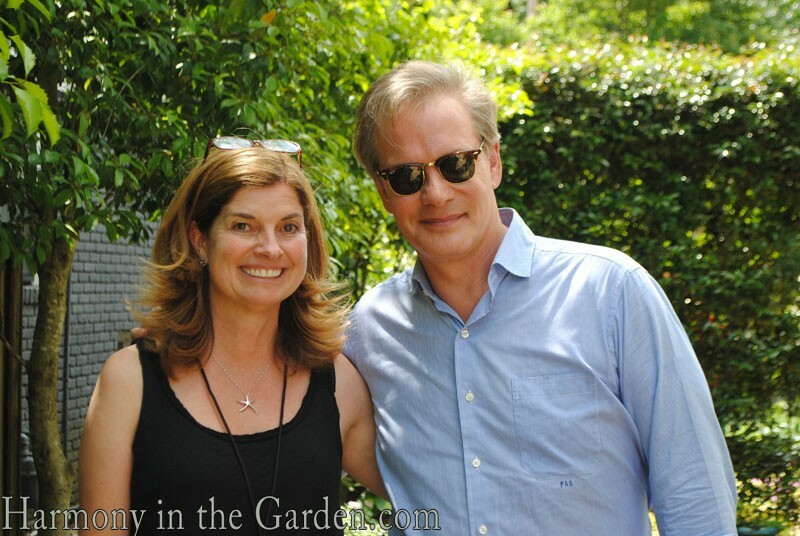 After loading the bus again, we visited his downtown 1904 Colonial Revival-style home featured in his first book, Garden Home, and where his long running television show, P. Allen Smith’s Garden Home, was originally filmed. 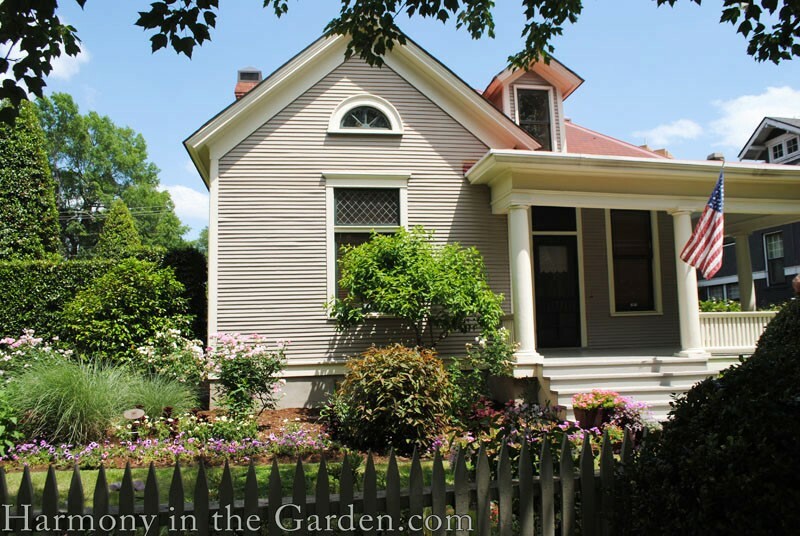 This charming home is located on a small city lot, with neighbors crowded on all sides, yet feels private and spacious thanks to all the garden rooms he’s created throughout. 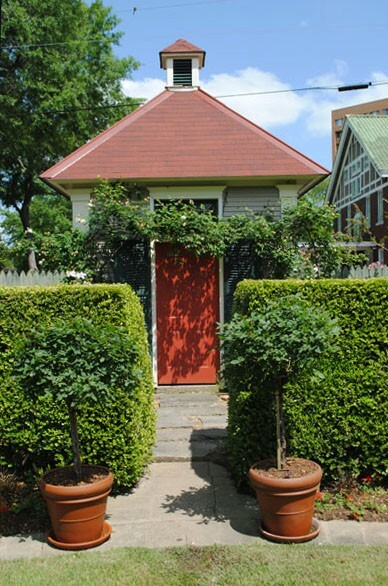 The home is surrounded by three narrow spaces, leading to the back of the garden. 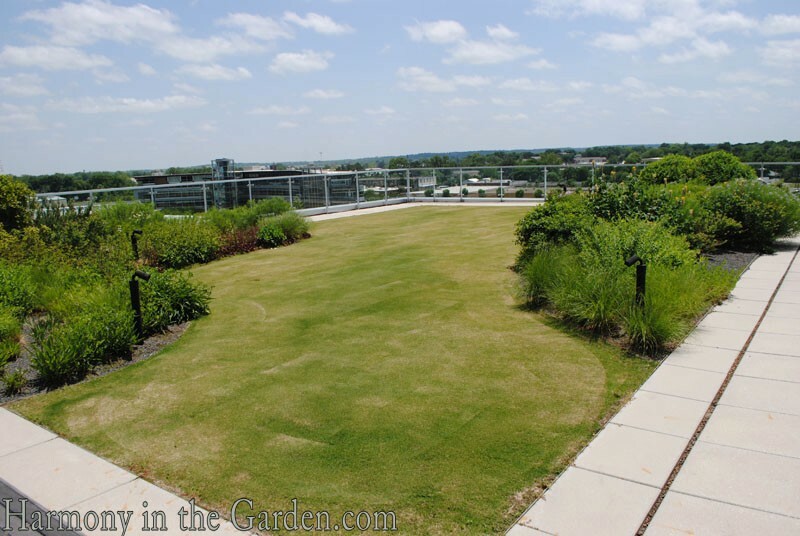 You’ll notice his herbicide-free lawn is filled with clover – it’s intentional. He believes the American lawn should be filled with plants other than just lawn, clover being a favorite. He’d be a big fan of mine then – ha! 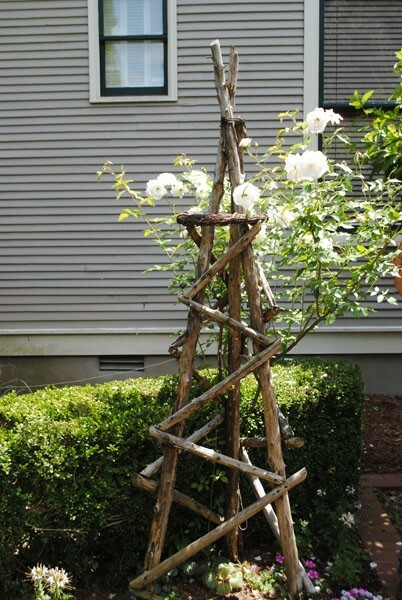 The sides of the arbor leading out to the sidewalk has beautiful, rustic twigs acting as a support for vines. 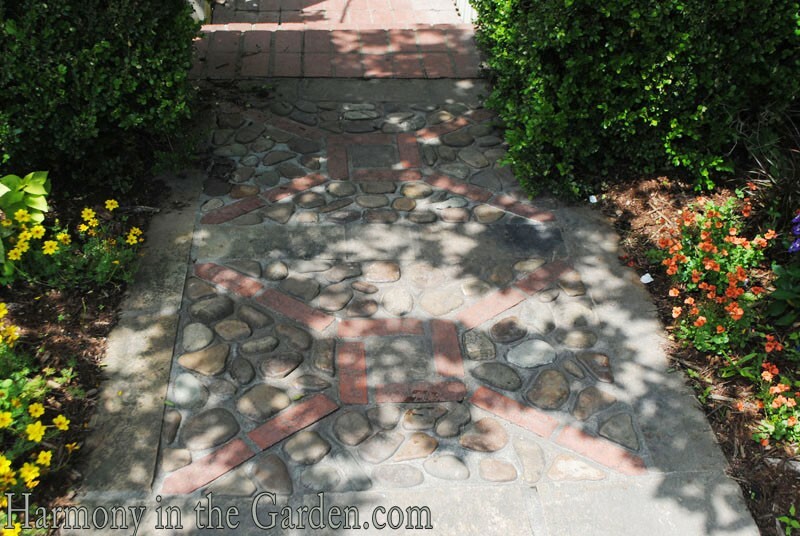 And I love the personality given to the pathway at the base of the arbor, with hand-laid pebbles in a pattern that mimics the twigs. 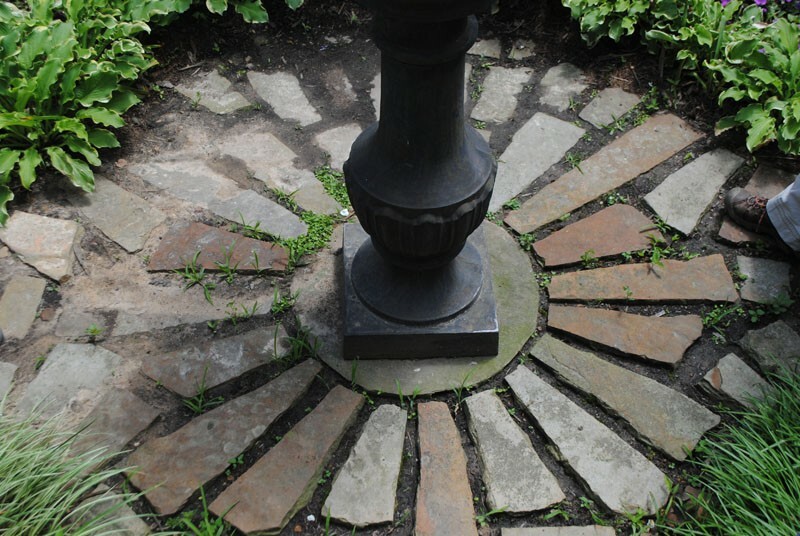 On the other side of the home is a narrow pathway broken up with this urn placed in the center of a cobblestone sunburst. Again, this pesticide and herbicide-free garden has weeds. And bugs. 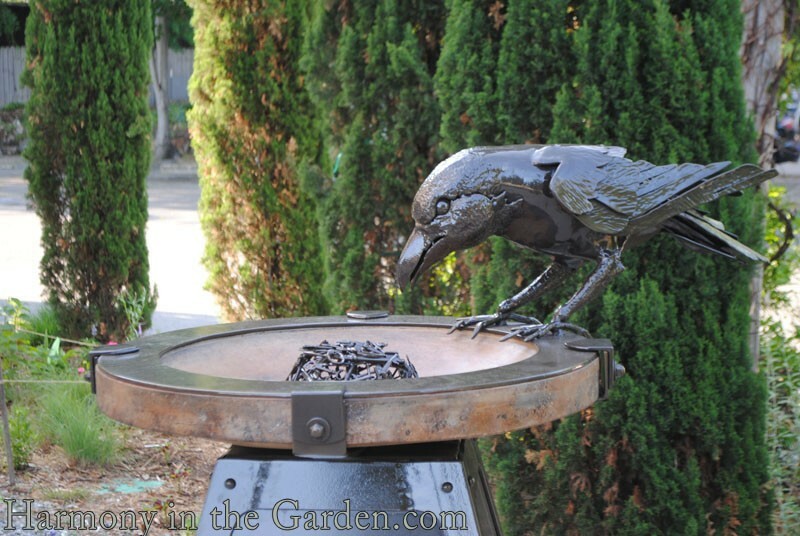 Which all gardens should have, right? 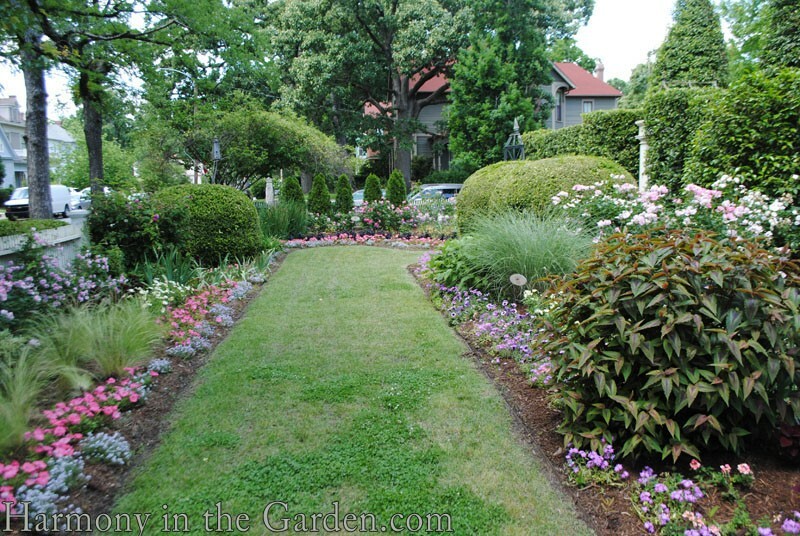 That’s one of the things I loved about his gardens is that they’re not manicured to the point of unrealistic proportions. They’re real. 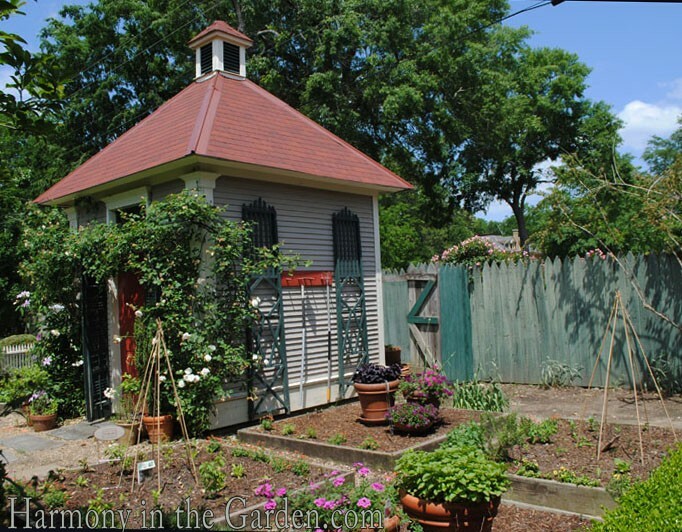 At the rear of the garden is this darling kitchen garden, with newly planted vegetable beds. 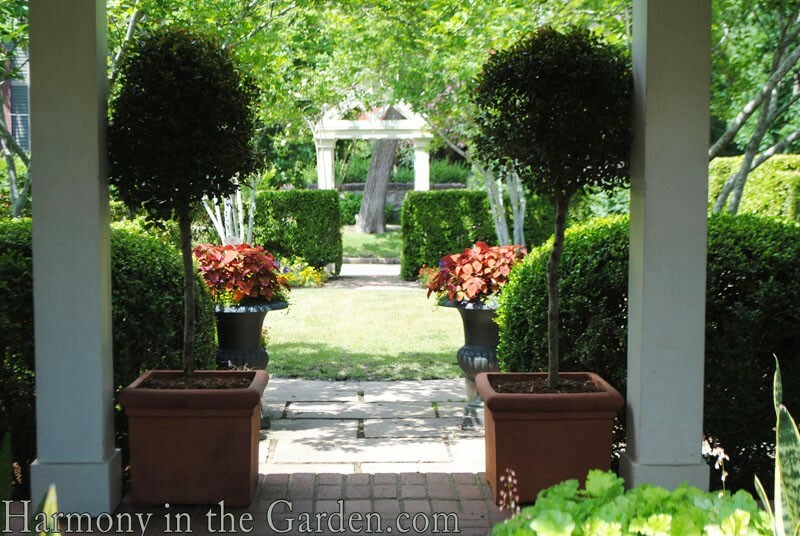 P. Allen’s garden style is a blend of formality (with carefully placed, matching containers, topiaries, shrubs, etc) and informal, casual plantings. 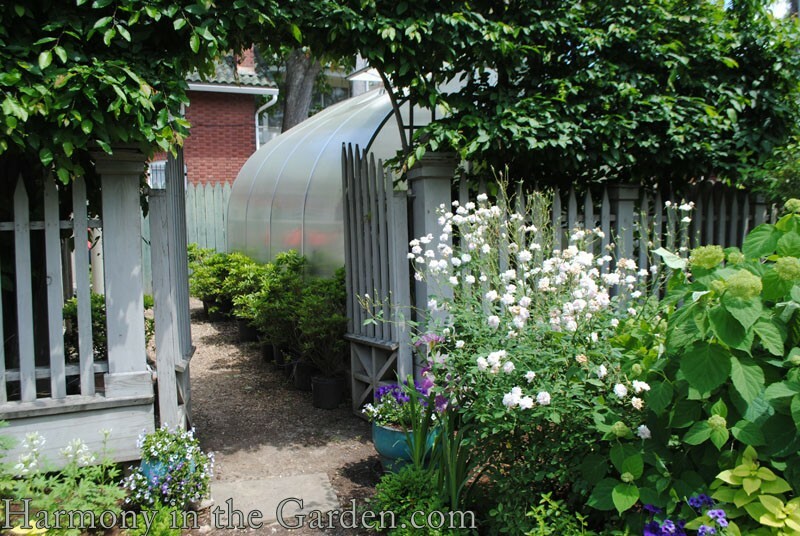 …as you can see here from the containers carefully placed at each side of the covered porch’s entrance. 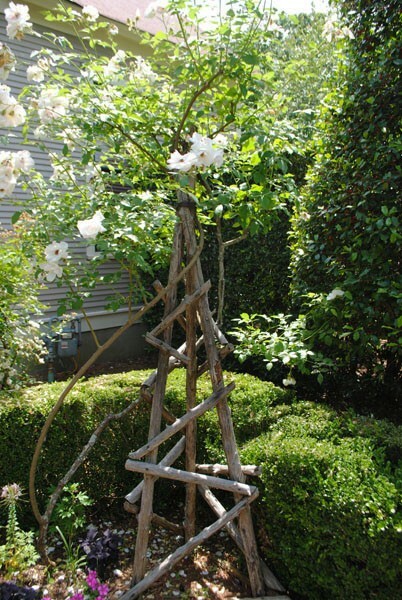 Each time you walk through a formally laid out area like this one (note the symmetrical clipped shrubs on either side of the arbor) you’re hit with a dose of informality, thanks to his use of rustic elements combined with blowsy, carefree plantings. 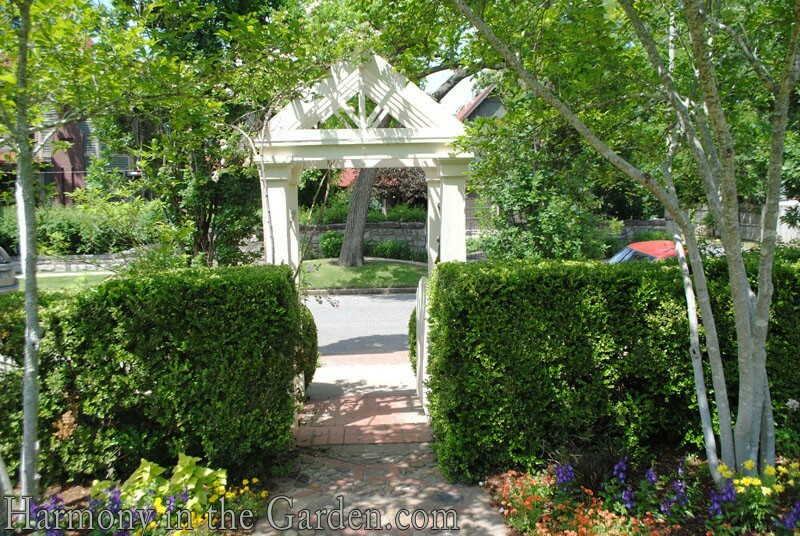 At the rear of the garden is this demure archway leading to his hoop house and potting shed – the workhorses of the garden. 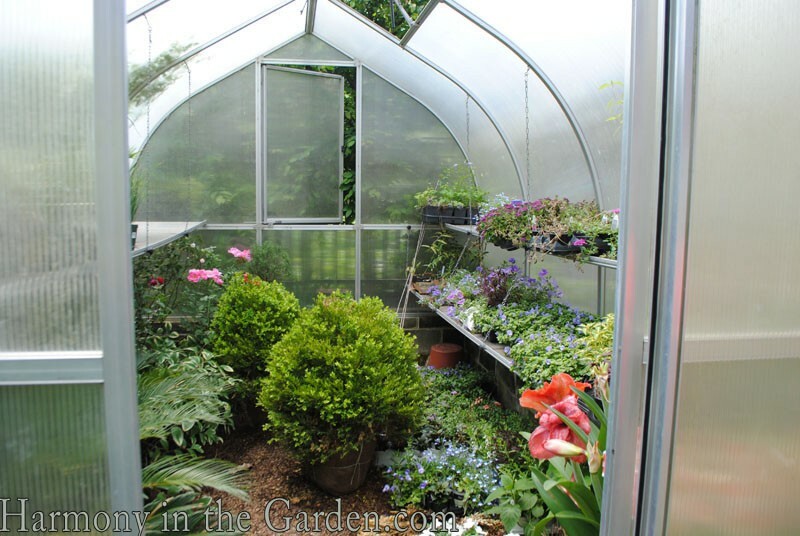 The good thing about a garden being filled with lots of people is that they make it easy to sneak away, undetected. Which is exactly what I did – wouldn’t you? 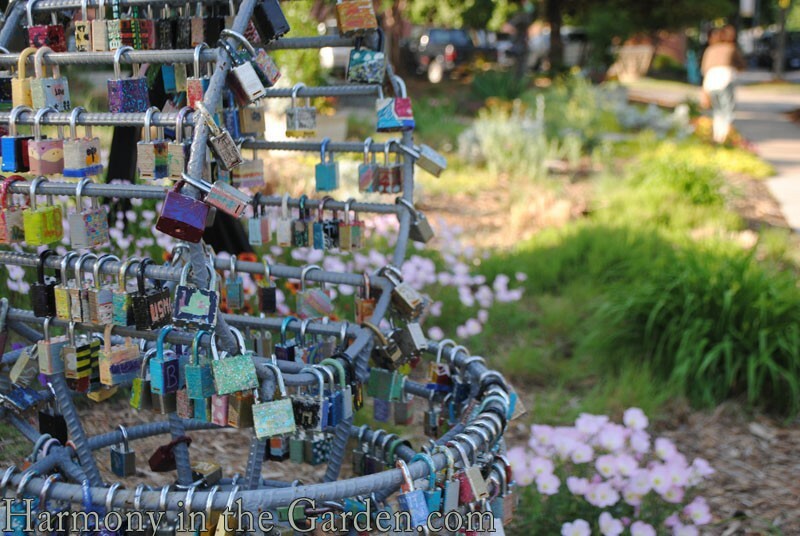 I love this fence at the back of the property, behind the hoop house. You can see how the colors of his neighbor’s roof have been incorporated into the color of his fence. Hey – if you can’t block a view at least take advantage of it and use it to your benefit, right? 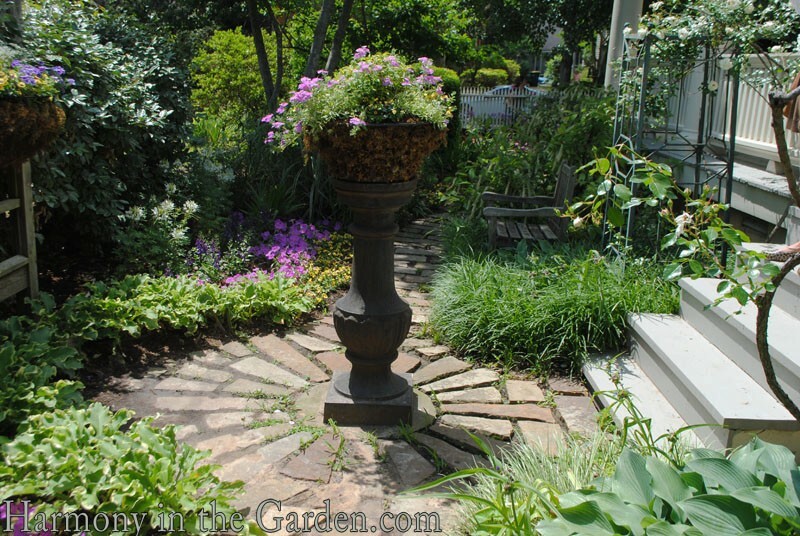 One of my favorite tricks in a small garden bed is to place containers within the bed, adding much needed height and interest. Which is exactly what he’s done here. 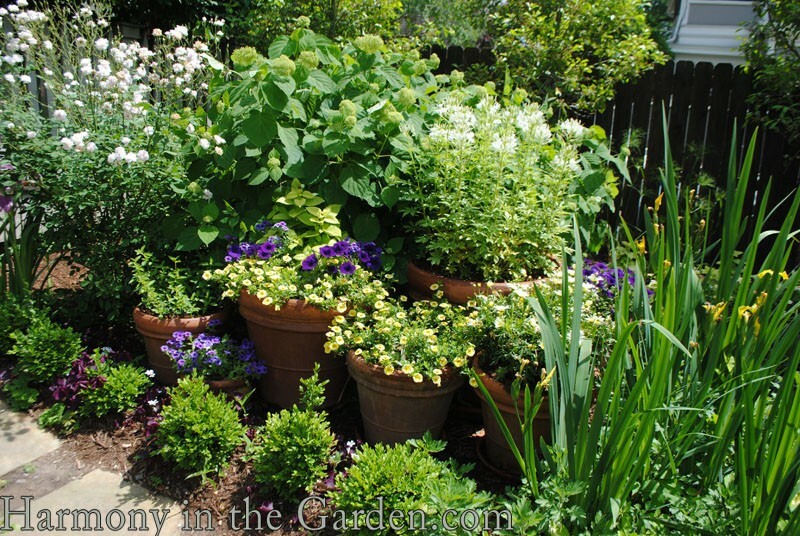 I particularly like how he’s grouped similar containers together helping to create a harmonious, unified effect. I hope you’ve enjoyed the tour of my first day in Little Rock! Please stay tuned! In just a few weeks I’ll take you up to the unforgettable Moss Mountain, P. Allen’s gorgeous 600-acre farm and garden home. 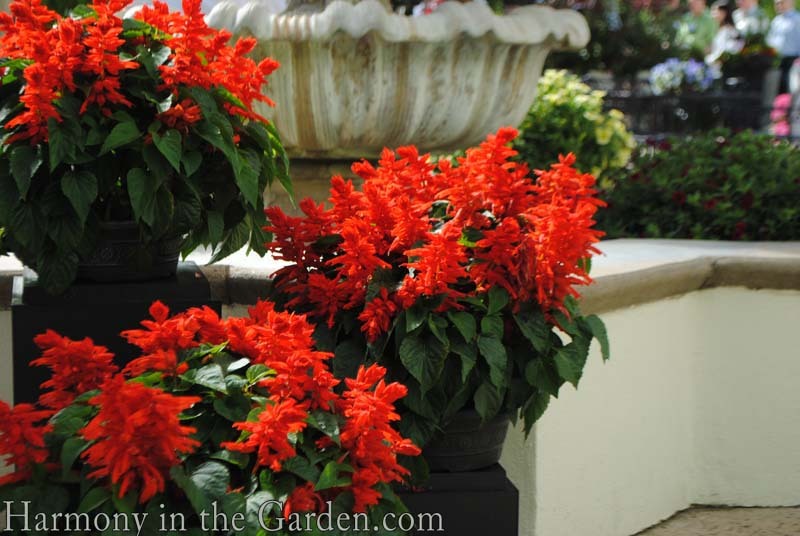 I so enjoyed seeing your first day at Garden2blog. I was fortunate to go twice, and your first day looks like the first day of the first time I went. 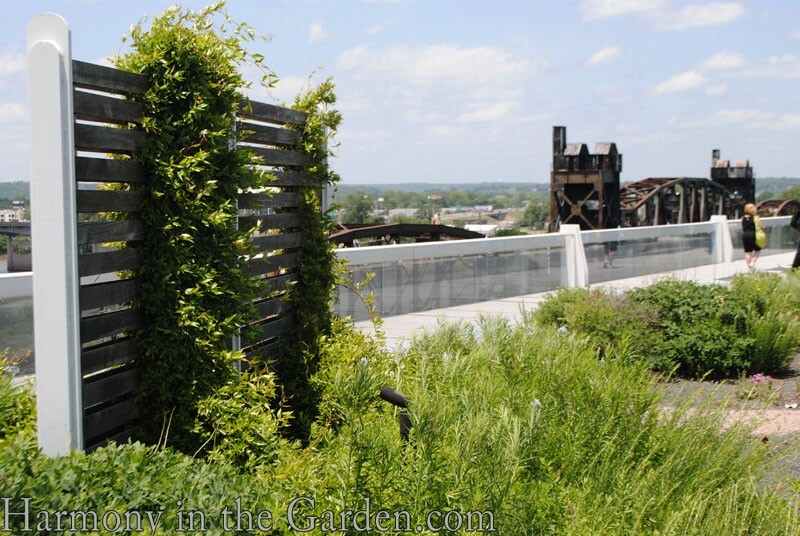 I enjoyed traveling about the city with you and seeing Alan’s first home and garden again. Hi, Rebecca — What a wonderful virtual tour, complete with sound effects! 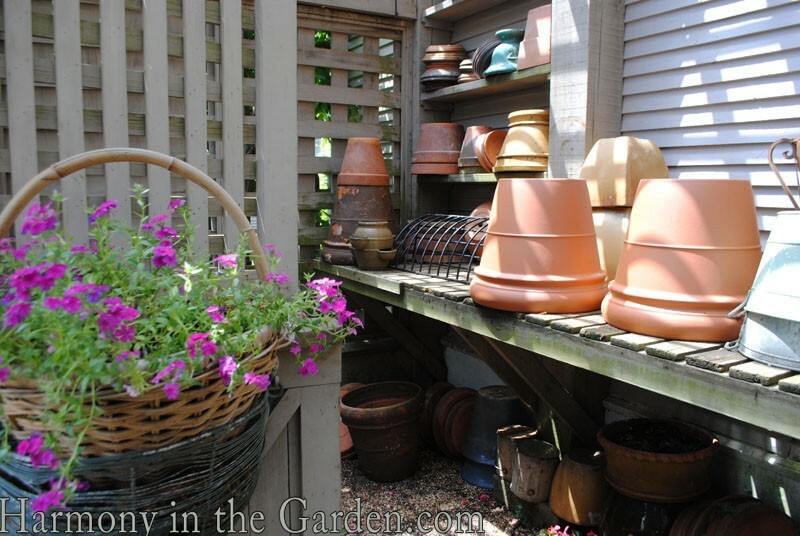 Lots of good design ideas, like the fence that repeats the roof of the red-brick house (which isn’t exactly an eyesore, but still, very clever) and grouping pots in a flower bed to get height. 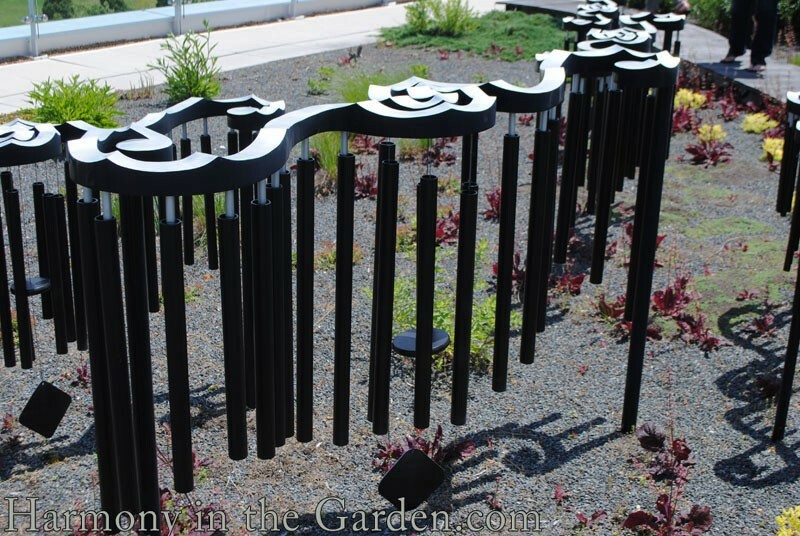 Love the whimsy everywhere, too. Like the chairs. And such a green and lovely place! Can’ wait to see Moss Mountain. 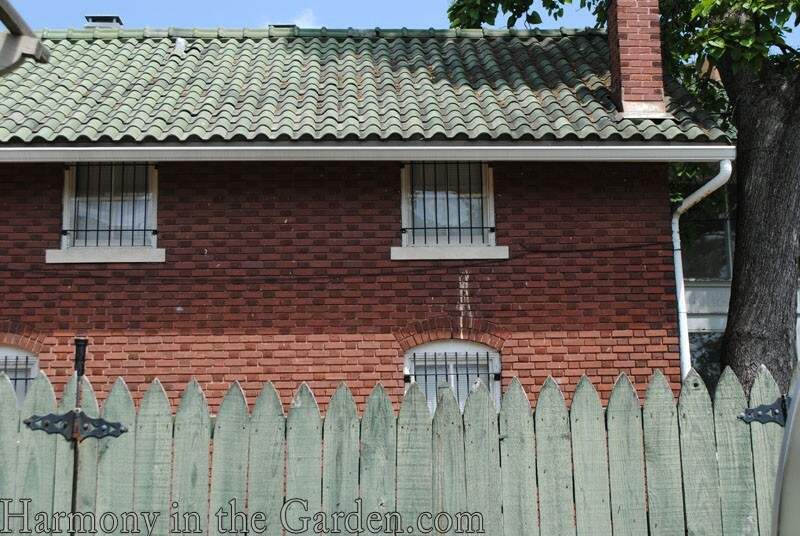 I thought you’d like that fence/roof combo, Debra. Isn’t it beautiful? 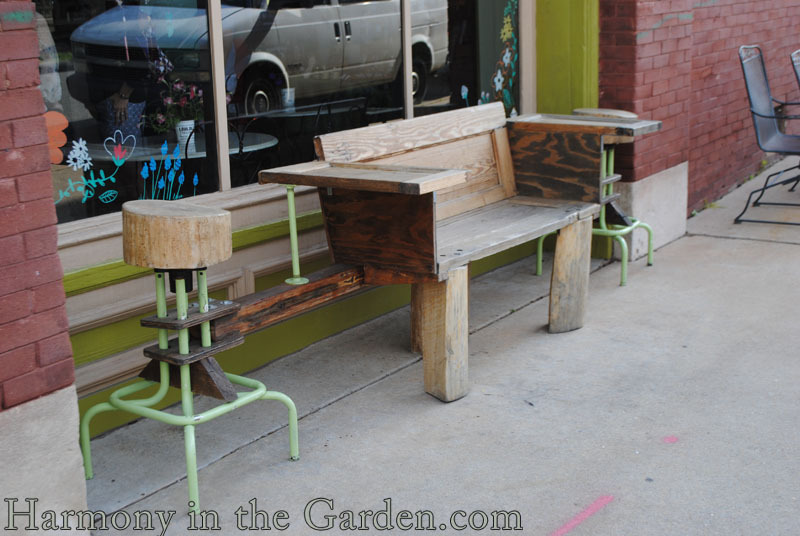 Reminds me of the green color of your table & chairs down in your (former) succulent tapestry garden. thanks for sharing, Rebecca. Visiting Moss Mountain is on my bucket list. So glad you had a wonderful time. Well, Lina, I certainly hope you can make it there – my photos don’t do it justice! 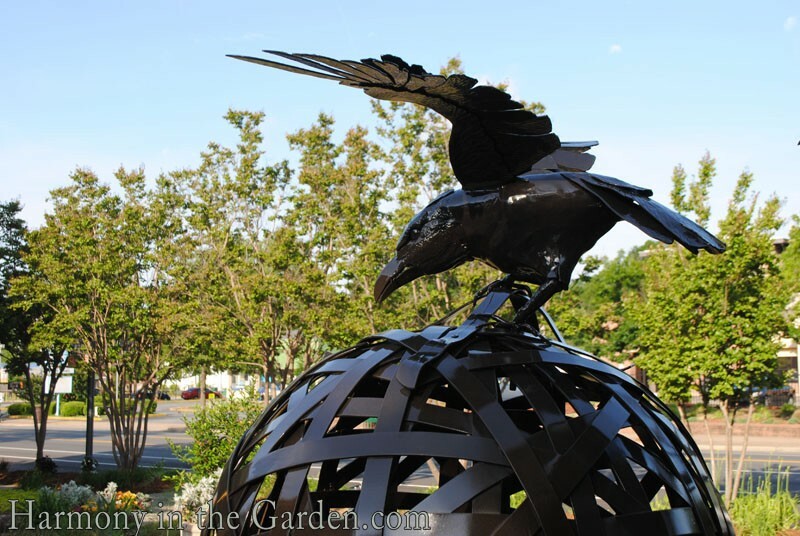 Love the tour of the garden home – so many beautiful ideas here. I’ve toured Moss mtn & love it. We had to sign a waiver though, that we would not publish any photographs taken there so I’ve never shared them online. I am most surprised though, that you had never had biscuits & gravy before! How interesting (about the waiver)! We didn’t have to sign anything and if anything, were encouraged to take photos. I guess they’ve realized the plusses of all the publicity, right? Glad you had the chance to visit,as well. It was my first time and was such a thrill. And yep – first time for biscuits & gravy. It was divine, I might add. And even those from the south said it was the best they’d ever had. I guess I’d been waiting for ‘just the right moment’ – ha!